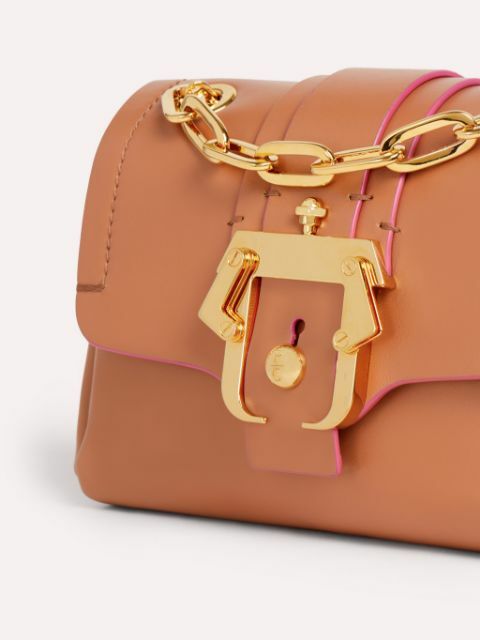 Crafted in Italy, this elegant Kaia bag unveils an aesthetic ideal for Paula Cademartori’s modern Femme en Fleur. 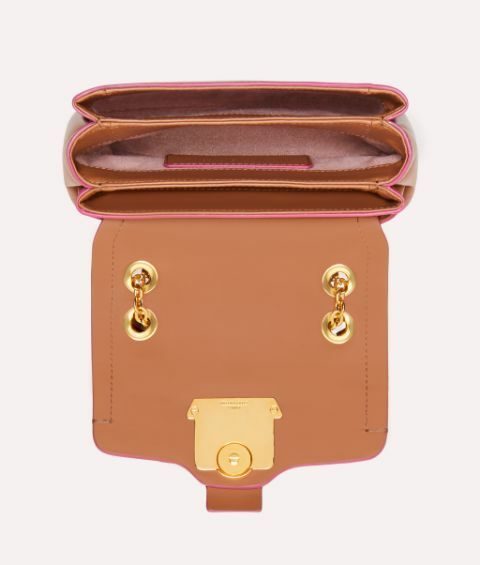 Distinguished by colour contrasting hems and the iconic gold tone buckle, this is a stand out design that does not skimp on versatility. 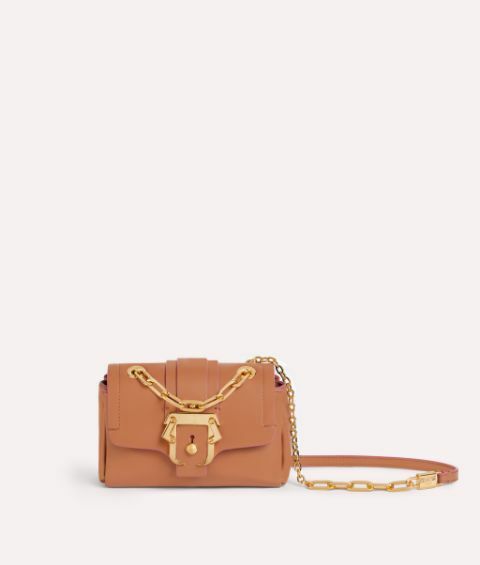 A padlock embellished dual style chain strap is built to be carried crossbody or hung off the shoulder.